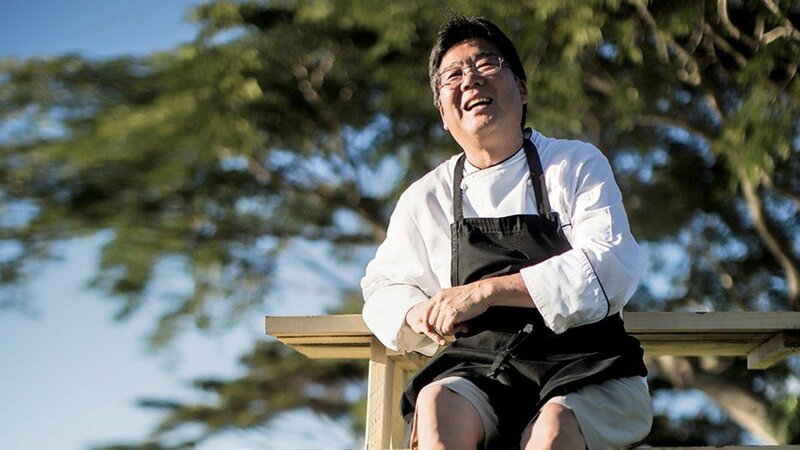 Chef Ben Takahashi grew up on Oahu in a family of avid cooks, so it could be said that he was born to be a chef. In fact, he credits his grandparents for teaching him his first recipes. Every Sunday night, they hosted a family potluck dinner, and the flavors on the table hailed from the far-flung corners of the globe that originally came together on the Hawaiian sugar plantation. “It could be kalbi one week,” Chef Ben remembers. “It could be pulehu chicken.” Kalbi? That’s Korean-style barbecued short ribs. Pulehu simply means ‘grilled,’ usually over charcoal, making the chicken dish similar to Japanese yakitori. As Chef Ben learned around his grandparents’ table, family meals create bonds and deepen relationships. So at Kukui’ula, he continues to serve guests a family-style meal every Sunday night, with dishes that reflect all the different cultural influences on Kaua’i. You might find salmon lomi lomi, a dish with Western roots, introduced to the islands by 19th century sailors. Or a Chinese preparation of fresh opakapaka (locally caught by Chef Ben’s go-to fisherman, Abe) steamed with ginger, green onion and shitakes. And for dessert, malasadas; Portuguese doughnuts that Orly, the Kukui’ula pastry chef, stuffs with lilikoi curd. The lilikoi, or passionfruit, grow up on The Farm, where Chef Ben often starts his day by grabbing fresh produce for the kitchen—and maybe a mango off the tree for breakfast. Under the broad canopy of The Farm’s monkey pod tree, he also likes to set up long tables for farm-to-table feasts. For these, according to Chef Ben, he’ll typically work with one or several different farmers from the area, spotlighting farm fare and local ingredients like North Shore goat cheese or Kaua’i-raised beef in contemporary dishes that allow him to demonstrate his finesse and technique—and the flavors of Kaua’i. In between courses, Chef Ben and his farming friends talk about the long history of agriculture on the island, and how eating local helps sustain Kauai’s relationship with the ‘āina.